Did you know that one out of four senior Americans falls each year? In fact, falls are the top cause of both fatal and non-fatal injuries among people over the age of 65. It causes hip fractures, broken bones, and even head injuries for some which increases their risk of falling into depression or fearfulness thereby hindering them from being fully active. With that said, if you have an elderly loved one living at home or an older neighbor who you’re close with, taking safety precautions can help reduce the instances of falls thus making sure that they stay independent and healthy even with age. As a person grows older, lesser light can pass through their eyes’ retina making it even harder for them to have a clear sight. As a result, their vision prevents them from seeing any upcoming obstacles or can create uneven edges and tripping hazards. The environment in which the senior is currently situated in can also be added to the risk factor of falls. 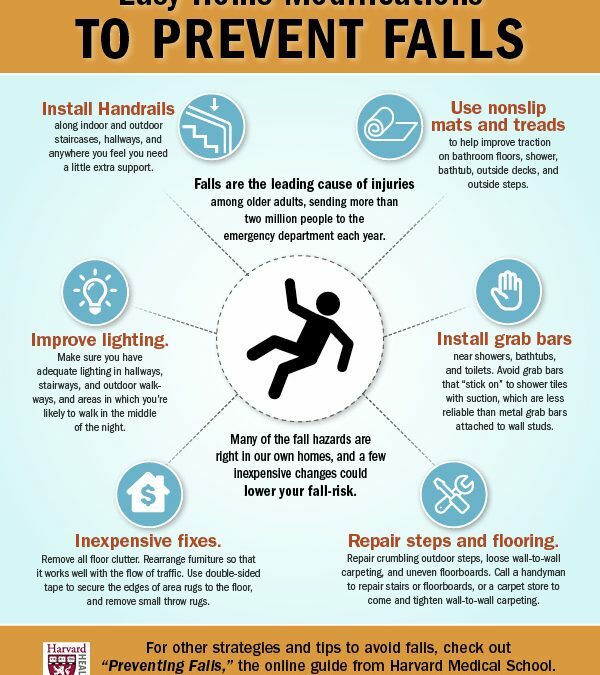 A lot of older people have been living in their homes for so long that sometimes, they don’t see the need or consider making some minor adjustments that would help them avoid the instances of falls. More often than not, older people experience a higher risk of falls due to the fact their balance and coordination skills are gradually declining with age. Sometimes, inactivity could also be a cause for the loss of balance. Chronic conditions are usually common among older people. In fact, 80% of seniors are reported to have chronic conditions such as stroke, diabetes, and arthritis. Oftentimes, these diseases could increase the risk of falls since these usually cause loss of function, inactivity, and pain. Even if they’re prescription medicines, some over-the-counter meds can cause light-headedness in some seniors which could increase the risk of falls in older people. Encourage them to take simple steps to prevent falls from happening. Asking your loved one about their concerns about falling can help you determine whether or not they have thought about what to do if ever they will experience a fall. A lot of seniors know that they have a risk of experiencing falls, however, some of them doesn’t think that it would happen to them or if it did, it wouldn’t injure them. A great way to pique their interest is by talking about NCOA’s Debunking the Myths of Older Adult Falls. If they’re worried about losing balance and falling, they may consult a professional that could evaluate their risk and arrange a plan or service that may be of help to them. Find a way to learn about your loved one’s current health condition. Are they experiencing some kind of pain or discomfort lately?Do they remember to take their medications regularly? Are they experiencing some side effects from their prescriptions?Are you noticing that they constantly need assistance in doing a basic everyday routine? Medicare also offers some advice on how to preventive benefits including the Annual Wellness visit so you might also want to make sure that your loved one is taking advantage of that. Try to talk to them about being open to their physicians or caregivers about what they really feel or their other concerns so that they may be able to get help. It’s also important to note that glasses with a changing tint can be dangerous especially when a senior goes in from the sun into a dark place. One helpful way to remedy this is to change glasses immediately upon entering a building or stopping for a while until their eyes adjust to the brightness of the surroundings. Eyeglasses can also be a hazard when stairs are involved thus the need for seniors to be extra cautious. It’s important for your loved one to consult an eye specialist every now and then so that they could ensure that their eyesight is in its perfect condition. All these are a tell-tale sign that your loved one may need to see a physical therapist. This way they can undergo therapy to repair or improve their balance, strength, and gait through a series of exercises with the assistance of a professional therapist. A cane or a walking aid may also be recommended for seniors to serve as a support when standing or walking. Make sure to follow their instructions carefully. An unfit walking aid may cause an increased chance of falls. If you notice your loved one having a hard time remembering their medications or suffering from any side effect, encourage them to take their concerns to their doctor or pharmacist and advise them to have their prescription checked each time they get a new one. Keeping a sheet to track your loved one’s medication schedule may also be of help. A timed medication box could also help your loved one follow the right schedule for their medications and could put your mind at ease. You also need to be aware of over-the-counter non-prescription medicines – especially anesthetic or pain reliever drugs with “PM” on their labels – since these can cause light-headedness that can mess with a senior’s balance. If your loved one has trouble sleeping, advise them to talk to their doctors about it. Do a thorough evaluation of their home. Stairs: See to it that the stairs have steady rails your senior loved one can hold on to. Lighting: Make sure that the stairs are well lit, especially the top and the bottom.It’s also important to keep the lights are always available in case they get up in the middle of the night. Bathrooms: Set up bars which they can hold onto in the shower and near the toilet. For maximum safety, replace their showers with a hand held one and place a shower chair in the shower. Centers for Disease Control (CDC) also has a multi-lingual checklist which you can use to assess the safety of a home for a senior. Along with CDC, NCOA and the Administration on Aging also offers a wide range of activities and programs for seniors that can help them reduce the risk of falling. Check out what activities are available in your area by calling the Area Agency on Aging. At Vista Living Senior Care, our team helps seniors improve the quality of their life by making our purpose built 10 resident Luxury Senior Care Homes in the Phoenix Arcadia area something special. We focus on Care, Healthier Diet and an Activity Program Focused on Smiles & Laughter. Sit and Be FIT exercises start our days and attendance is impressive with no one showing up late. We urge you to consider Vista Living Senior Care for your loved one, please schedule a tour and learn how we can help. We know we have something special. Let us show you. Tracy has over three decades of experience working in senior living. She started as a CNA at a skilled nursing facility at the age of 17 and then went back to school to earn her Licensed Practical Nurse license. Tracy was born and raised in Wisconsin, and moved to Arizona when her company relocated her here. She has demonstrated in her career the ability to take on increasing responsibilities and maintain a long tenure at her previous positions, including 19 years for the same company in many different nursing roles. 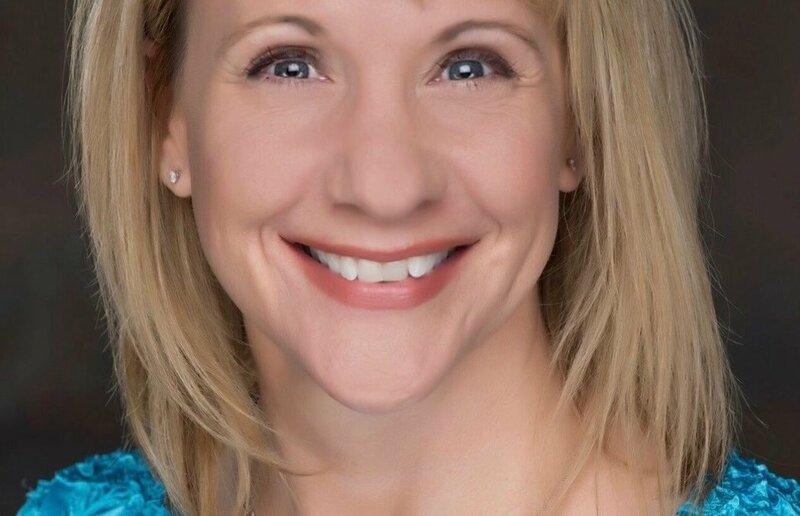 With the experience and knowledge she gained while working within the skilled nursing facility, Tracy was offered and accepted a position in 2001 as the Health Services Director at Blue Harbor (formerly Desert Flower). She maintained that role for 15 years and was responsible for the direct oversight and care for over 90 residents. Tracy then became the Health Care Manager for two 10 bed group homes in Paradise Valley and Phoenix and had two deficiency-free surveys. Tracy has a passion to enhance the lives of our elderly. She feels laughter is still the best medicine and likes to have fun. In addition to laughter, she also feels that maintaining our resident’s independence and dignity is vital in enhancing quality of life. Tracy has a son who lives in Chicago, recently married his college sweetheart and is working on his Master’s degree. She also has two daughters still at home, one who loves soccer and the other track. Tracy’s hobbies include gardening and photography. Is it possible to Care for Your Parent Without Losing Your Job? We usually start asking that question when Mom or Dad has a medical emergency and you work full time. You spring into action, stay flexible and focus on the need at hand. Then you need to put your work aside repeatedly to deal with your parents’ urgent medical issues. It can be extraordinarily stressful for you and, I’m sure, no picnic for your employer. That medical issue can be any one of many issues that requires additional time commitments and focus, including: broken bones (hip, shoulder, leg, arm, etc), wound care, heart, kidney, several days at a rehabilitation center, medication adjustments, memory diagnosis, diabetes complications, other complications and depression; as well as being unable to perform daily functions as a result of this avalanche of medical emergencies. Your world will turn into chaos. Millions of Americans face similar challenges and must make the painful choice between the care of their families and the paycheck they desperately need. Some workers have it especially difficult, having inflexible work schedules or schedules that are so unpredictable that it’s all but impossible for them to plan for caregiving. Since you may find yourself trying to take on emergency caregiving duties while remaining employed, I thought I’d offer a few tips, based on my own experience and caregiving experts’ recommendations. As soon as you know you will need to take off hours and sometimes days, let your boss know. That helps when beginning to coordinate your plans and gives your employer an idea of what you are facing. Hopefully, your boss will be understanding. Not every employer is as sympathetic, though. Experts have told the U.S. Equal Employment Opportunity Commission at public meetings about workplace discrimination that unlawful employment discrimination based on caregiving responsibilities has become a widespread problem. If you’re fortunate to work for a company where you can take advantage of the Family and Medical Leave Act of 1993, which can be a godsend for caregivers that qualify, take it! Under this law, you may be entitled to up to 12 weeks of unpaid leave for a variety of reasons, including caring for a parent with a serious health condition. If possible, you should discuss a planned leave with your human resources department 30 days in advance. Of course, if an emergency arises, you’ll need to act more quickly. No surprise that using the family leave law means dealing with mounds of government paperwork. You’ll need written certification from your parent’s physician that the condition meets the tests to let you take an unpaid leave. Otherwise, the law won’t let your manager approve it. Some doctor’s offices are better at expediting family leave forms than others. So you may need to hound your parent’s doctor’s office — as if you’ll have the time or patience for that when your parents are in dire straits. You may be fortunate to also have a generous Parental and Serious Illness Leave policy, allowing two weeks’ paid time off to care for a family member. Check with your manager or human resources department to see whether your employer offers caregiving benefits aside from the federal law’s unpaid family leave. 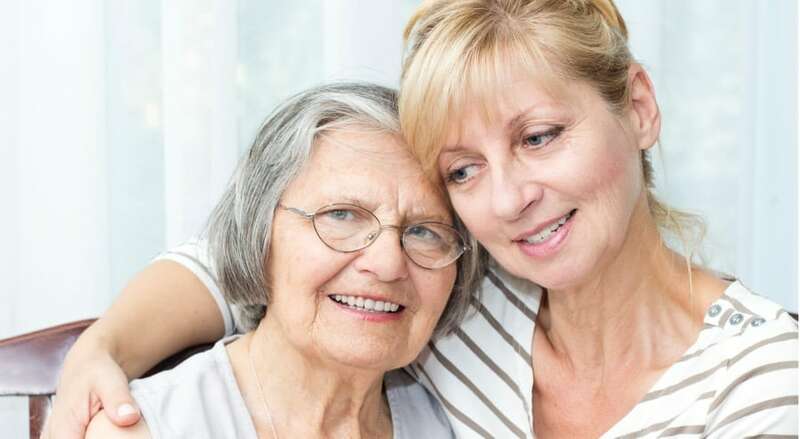 For instance, there may be an Employee Assistance Program that can help you find a caregiving agency or assisted living community near your parents. Plan a strategy that will provide you as much flexibility as needed and still allow you to fulfill your work commitments. It may mean getting to work 3 or 4 hours earlier, or staying later. If your job has work that can be done while you spend time in waiting rooms, it is a big plus. Plan on computer time at night, after visiting hours is over at the hospital and the rehab center. If your employer offers flexible work schedules or telecommuting (as about one-quarter of companies do), talk with your manager about using one of these options, temporarily. The best place to start is with an evaluation at an assisted living facility. You can evaluate the place, and the medical professionals can meet your parent and you. This can assess your caregiving situation, provide you with a care plan, and even help assist with coordinating home and community-based services your loved one may need. Vista Living Senior Care offers complimentary evaluations to make sure we can help and your parent or loved one can thrive. Vista Living Senior Care is a place to make friends, enjoy the meals and activities, but most importantly trust the level of care provided. At Vista Living Senior Care, you’ll see and feel the difference right away. Come enjoy Hot Chocolate and Yummy Cookies at a Cookie Exchange Party! At Vista Living Senior Care, our team helps seniors improve the quality of their life by making our purpose built 10 resident Luxury Senior Care Homes in the Phoenix Arcadia area something special. We focus on Care, Healthier Diet and an Activity Program with Smiles & Laughter. It’s a known fact that as we age, our body’s metabolism slows down and our body’s system gets weaker making us more prone to developing chronic diseases. This is why seniors, in particular, may need to change their diet especially when their diet is composed of unhealthy foods. Physicians usually recommend that seniors should eat lots of fruits and vegetables as well as proteins and whole grains in order for them to maintain a healthy diet that could improve their overall health. The American Dietetic Association has recommended that aside from a healthy diet, caregivers could also take part in boosting their loved one’s health by incorporating a few extra nutrients in their food. As people grow older, they become more susceptible to vitamin D and calcium deficiency which could affect their bone health. This is why there is a need for older people to increase their calcium intake in order to maintain their bone strength. Aside from that, lack of calcium in the body could also help increase blood pressure. According to the World Health Organization, people over the age of 50 are recommended to take at least 1,200 milligrams of calcium each day. This is more or less equal to 4 cups of orange juice, dairy milk, fortified non-dairy milk such as soy or almond. Kale, turnip greens, and other leafy vegetables are also known to be rich in calcium that is easily absorbed by the body. If your loved one finds it challenging to incorporate this much calcium into their everyday meal, your physician may recommend calcium supplements should they need it. Omega 3 fatty acids have shown that they are extremely helpful in reducing oxidative stress and inflammation in the body which are one of the top causes of heart diseases, arthritis, and cancer. 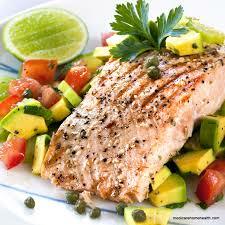 Canola oil, flaxseed oil, flaxseed, walnuts, and fish are great sources of the omega 3 nutrient. Seniors are recommended to have at least 2 meals per week that are rich in this nutrient. If there is a need to fill in the deficiency, your loved one’s doctor may recommend omega 3 supplements. One of the most important thing that a caregiver can do to reduce the risk of hypertension in their senior loved one is to prepare a meal that has a low salt content. Many people don’t know that table salt only accounts for a small percentage of the overall sodium content in food. Processed, frozen or any takeout foods are usually the type of food that have a high sodium content so it’s best for seniors to eat less or completely avoid these. Fresh frozen produce, on the other hand, along with dry beans, unsalted nuts, and nut butter, and whole grains like oats or brown rice are known to have less sodium content. As much as possible try to incorporate these types of food to your loved one’s diet. Older people are more at risk for dehydration and electrolyte imbalance. The main reason is that as a person ages, the body’s ability to conserve water is reduced and older people often don’t feel thirsty and when they do, the body’s fluid levels are already low. Even if that’s the case, they still need the same amount of liquids in their bodies which is why you need to make sure that they’re drinking water as often as they can even if they don’t feel thirsty. You can tell if your loved one is properly hydrated or lacks water through the color of their urine. If their urine is clear or light-colored, they’re likely properly hydrated. However, if it appears cloudy or dark in color, then it’s a sure sign that they need to start drinking lots of fluids. Making the switch to a healthier diet can be quite challenging for most people – especially seniors since they have become stuck to the habit. Most people are not usually open to changes. This statement holds true for the seniors which is why it’s important to make gradual changes. There are times when your senior loved one will resist making dietary changes even if the doctor says so. 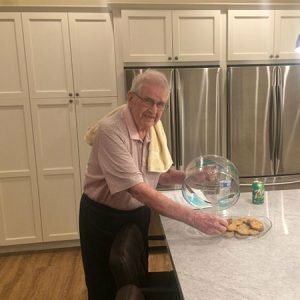 It’s especially common among dementia patients who sometimes insist on doing what they want. However, you may be able to do something about this by being creative. Deciding to make dietary changes is essential especially as people get older. Giving your senior loved one a nutrient-rich meal as often as possible helps in preventing and managing chronic medical issues such as cardiovascular diseases. Eating healthy won’t only ensure that your loved one’s health is at its best but it will also ensure that they will spend the rest of their golden years with so much more energy. Exercising for seniors is more than just adding years to your life, it’s all about adding more life to your years. You’ll look great, feel great, be more energetic, and have a greater sense of overall well-being, no matter your age. Did you know that exercise is the number one contributor to having a longer life? And it doesn’t matter whether you’ve just started exercising during your senior years. To help you get started, it’s important to know about the physical and mental benefits of exercise. Improves balance, mobility, and flexibility. Strength, flexibility, and good posture are improved during exercise. Which greatly helps with coordination and balance – lowering the risk of falls and any fall-related injuries. Strength training is also known to prevent symptoms of various chronic illnesses, such as arthritis. Reduces the impact of different chronic diseases and illnesses. Regular physical activity is proven to improve the body’s immune system and digestive functioning. It helps lower the risk of dementia, obesity, diabetes, osteoporosis, certain cancers, and heart disease. It also promotes better blood pressure and bone density. Maintain a healthy weight. Your body’s metabolism slows down as you age. Which is why maintaining a healthy weight is more difficult. Regular physical exercise helps boost metabolism and build muscle mass, which helps in burning more calories. Better brain health: While mentally stimulating activities such as Sudoku or word puzzles helps in keeping your brain running, exercise can do more wonders. It helps to prevent or slow down the progression of memory loss, dementia, and dementia by tapping into multitasking and creativity. Good night’s sleep. Adults should be able to sleep for at least six hours every night. Exercise helps you be able to sleep quickly, sleep more deeply, and wake up energetic and ready to face the day. Boosts self–confidence and mood. When you exercise, your body releases endorphins – a hormone that can help lessen feelings of depression, anxiety, or sadness. Therefore, exercising is a huge stress reliever and helps you feel more confident. Myth 1: I have too many aches and pains in my body. I’m too weak. Fact: Regular physical activity can actually help you manage aches and pains in your body. It also makes you stronger. Not only is there an improvement in strength, exercise also helps combat a decline in vitality that comes with age. The secret is to start slowly and gently. Myth 2: It doesn’t matter if I exercise – I’m getting old anyway. Fact: Exercising promotes independence and makes you look and feel younger. It also reduces the chances of developing various health conditions, such as Alzheimer’s and dementia, diabetes, certain cancers, heart disease, obesity, and high blood pressure. Myth 3: It’s so frustrating. I’ll never be as agile as I once was. Fact: Your body changes as you age. Your hormones, bone density, metabolism, and muscle mass may change. That said, strength and performance level may inevitably decline as you get older. However, it doesn’t mean that you can no longer benefit from health improvements the sense of accomplishment you get after exercising. It’s best to start slow and to tailor your exercises to your lifestyle goals that are age-appropriate. Always remember that being sedentary can do more harm than good. Myth 4: Exercising increases the risk of falling. Fact: As a matter of fact, exercising regularly can promote muscle building, improve strength and stamina, and prevent the loss of bone mass. As a result, your balance will improve, reducing the risk of falling. Every senior should incorporate balance exercises into their exercise regimen. Myth 5: I won’t be able to exercise since I’m disabled. Fact: People with disabilities face certain challenges when it comes to physical activity. However, there are many exercises that tailor to their needs. They can lift weights, stretch, do chair aerobics, chair yoga, and chair Tai Chi to help improve range of motion, muscle tone, and flexibility, as well as their cardiovascular health. Many gyms or swimming pools may offer classes and other adaptive programs to people in wheelchairs. Myth 6: I’m too old. Fact: You will never be too old to exercise. It will never be too late to get moving and improve your overall well-being. As a matter of fact, people who become active later in life reap more physical and mental benefits as opposed to younger people. If you haven’t tried exercising before or if you haven’t exercised in a long time, it’s best to start with gentle and simple exercises and build it up from there. Exercising is for everyone. However, before you begin any form of exercise, be sure to consult your doctor or your healthcare team. They will most likely refer you to a reputable personal trainer or they may prescribe you with the right exercises for you. Did you notice your elderly loved one becoming more sedentary as they age? Many seniors tend to slow down as they grow older due to many different reasons, such as feelings of pain, weight changes, health problems, or worries about falling. Or maybe your elderly loved one thinks that exercising for seniors isn’t for them. With everything that’s going on with our daily lives, it may be hard to maintain a regular exercise routine that you can stick to. And it won’t get easier as you get older due to body pain, health problems, and concerns regarding falling or other injuries. If you think you’re too old to exercise or if you haven’t exercised before, you may feel that these are legitimate reasons to slow down and give up exercising altogether. However, these are exactly the reasons why you should get moving. Keep in mind that whether you’re 9 or 90, it’s never too late to keep your body moving. At Vista Living Senior Care and our team helps seniors improve the quality of their life by making our purpose built 10 resident Luxury Senior Care Homes in the Phoenix Arcadia area something special. Sit and Be FIT exercises start our days and attendance is impressive with no one showing up late. We urge you to consider Vista Living Senior Care for your family, please schedule a tour, we know we have something special. Let us show you. 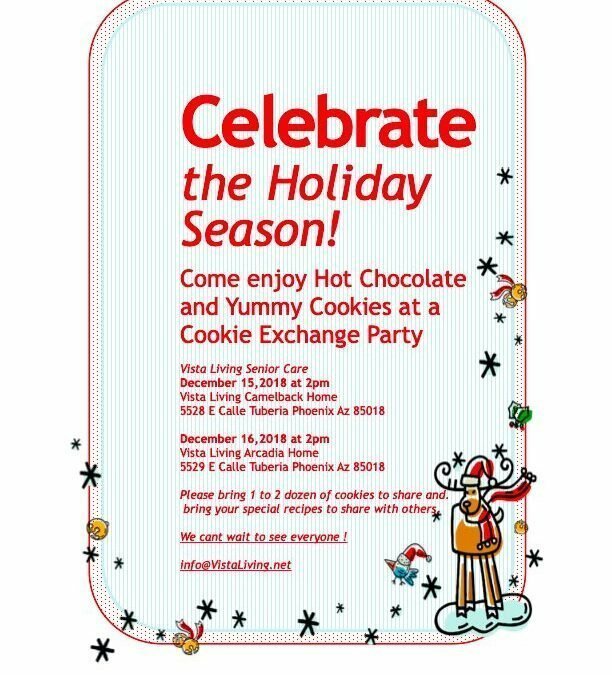 For more information please call Vista Living Senior Care at 480-456-1919 or Visit VistaLiving.net.